We are a family that drinks cows milk because I drank it as a kid and so did my parents etc etc. Creatures of habit! Oftentimes I’d glance at the other alternatives while out shopping, such as almond and coconut milk, and wonder if we should switch. I had just assumed the alternatives were backups for those with cows milk allergies or intolerances. You put money on the fact that there was always cows milk in our fridge, yet always 1% since I like my milk and cutting calories where I can too. Yet I can never go to skim, that’s just crazy cutting – I like a bit of cream in there! Then, I was asked to check out Silk Creamy Cashew, brand new to Canada. 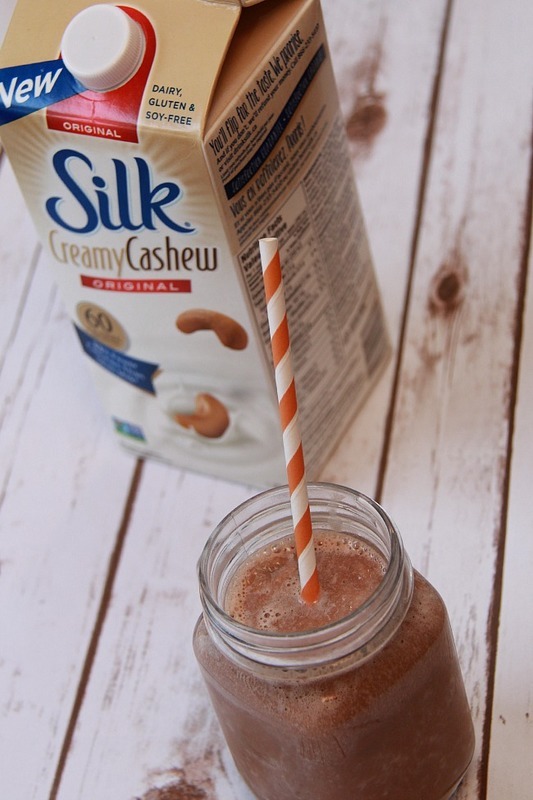 I couldn’t resist the curiosity and find out why so many raved about Silk, and quite honestly, this got my attention: Silk Creamy Cashew is 60 calories per cup and is 30 calories less then skim milk yet offers just as much calcium. At first try, I drank it alone. The taste is very creamy, but in a light way. You can taste the cashew, but it’s not overpowering. 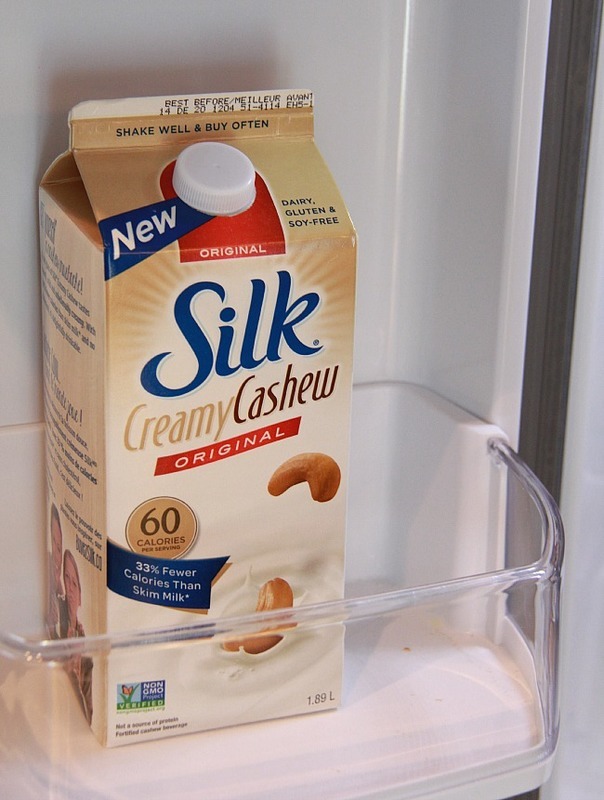 Silk Creamy Cashew is a pleasant milk – colour me impressed! Since the cashew taste is a mild one, you can use Silk Creamy Cashew in lieu of cows milk – from drinking it straight to making mashed potatoes, diary free ice cream, and even delicious smoothies. Mix all ingredients together in a blender and once thoroughly mixed, enjoy! As a person that always opted for 1% cows milk, I love that Silk Creamy Cashew has a more filling taste but with less calories. In fact, it has quite the impressive resume of benefits, don’t you agree? Silk Creamy Cashew is now available in Canada, and it’s so worth giving it a try whether you are looking for a new beverage or are interested for health reasons. To find a retailer nearest you please visit the Silk Canada website.